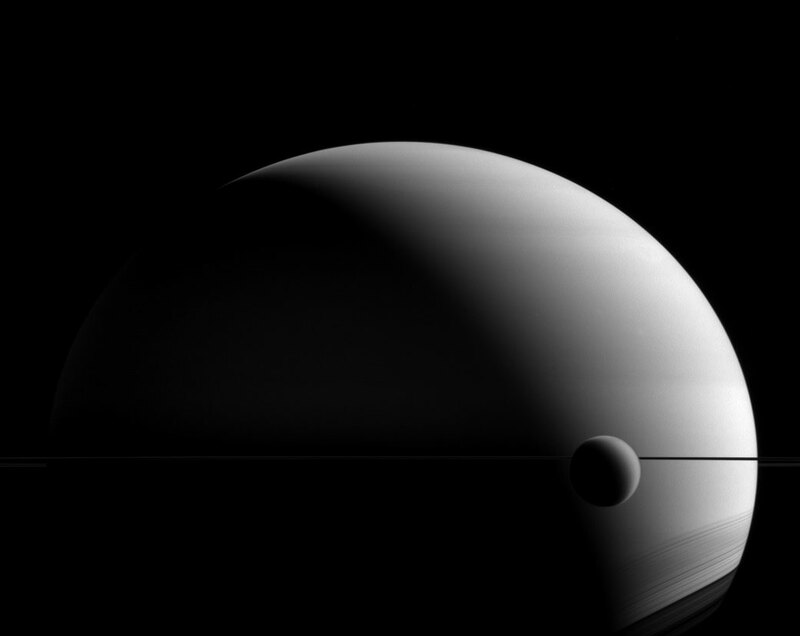 This newly released Cassini image shows Saturn and its moon Titan. Titan and Saturn have very few things in common, but a hazy appearance is one feature they share. Though they appear similar in this image, appearances can be misleading. Although both Saturn and Titan (3,200 miles or 5,150 kilometers across) have thick atmospheres and are covered in clouds, their differences are significant. Saturn is a gas giant with no solid surface to speak of. Titan’s atmosphere is a blanket surrounding an icy, solid body. Even their atmospheric compositions are different; Saturn is mostly hydrogen and helium with clouds of water and ammonia and ammonium hydrosulfide. Titan’s atmosphere is primarily nitrogen with methane clouds. 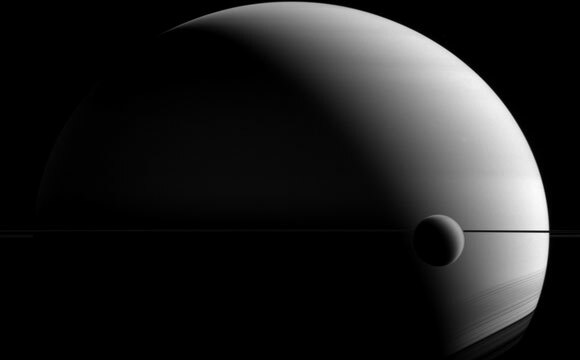 1 Comment on "NASA’s Cassini Spacecraft Views a Cloudy Saturn and Titan"